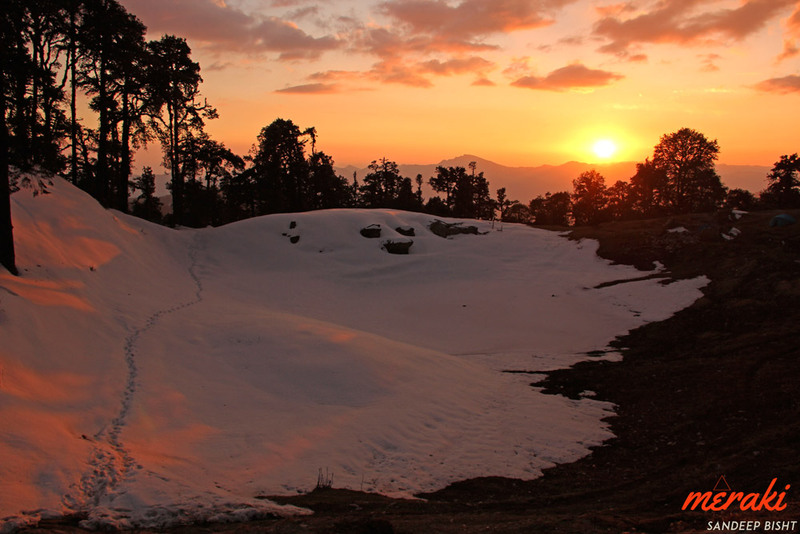 Brahmatal is one of the most secluded lakes in Uttarakhand that can be accessed after 2 days hike from Lohajung. 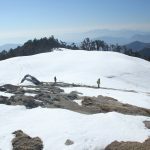 Despite being the base camp of the famous Roopkund trek, Lohajung is rarely frequented by trekkers who hike to Brahmatal. 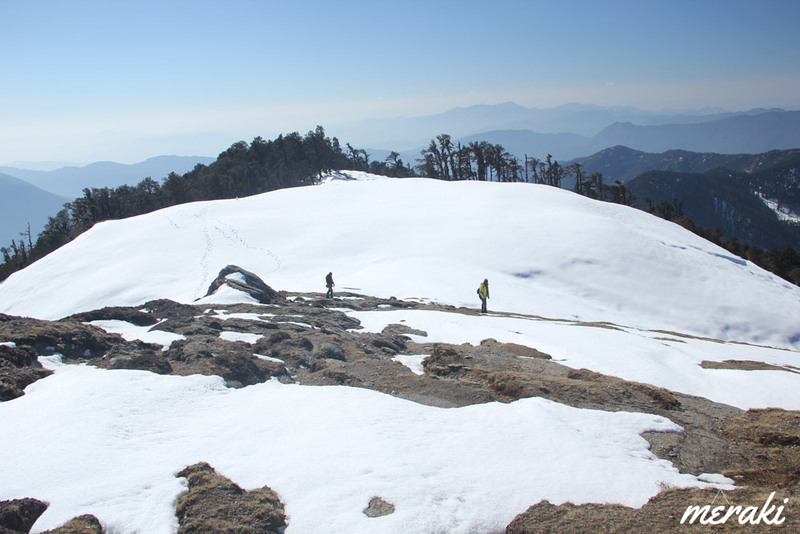 Brahma Tal – Jatropani trek offers a virgin trail with beautiful lakes, wide variety of flora & fauna, high altitude meadows & panoramic views of Himalayan peaks. 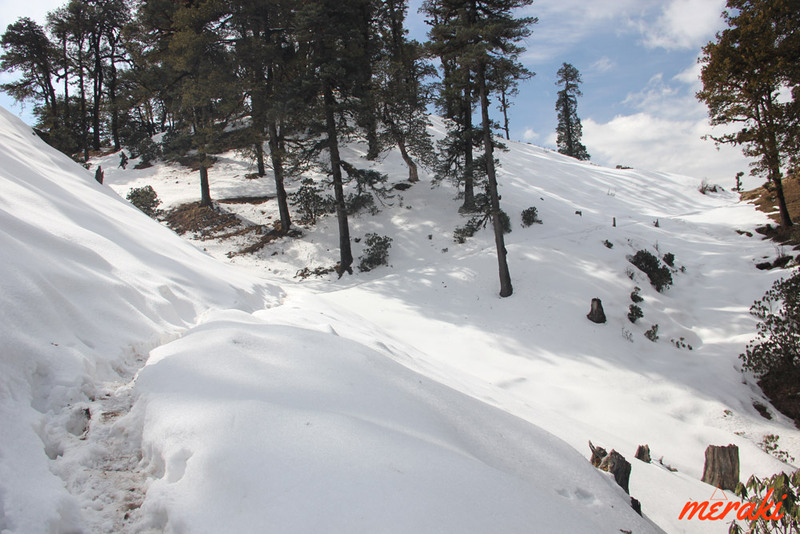 While this trek is easy to do during summer season, the trail becomes moderate to traverse during winter season. 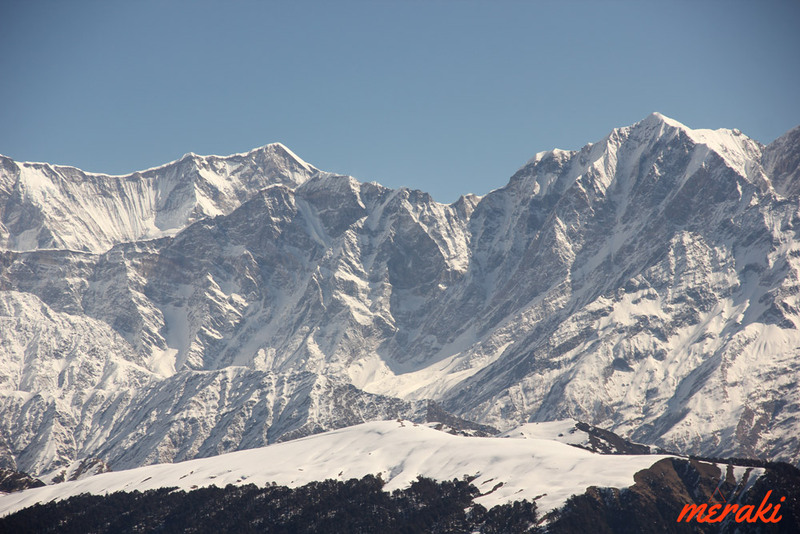 Bird’s eye view of Roopkund, Ali Bugyal, Bedni Bugyal along with majestic Himalayan peaks of Trishul, Nanda Ghunti & more. 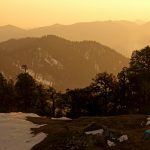 You can either reach Lohajung from Rishikesh or from Kathgodam. It is around 8-9hrs drive. 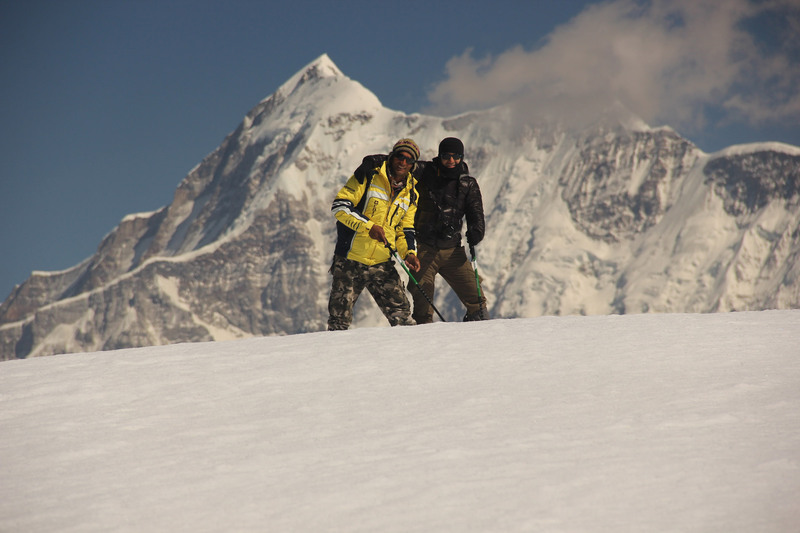 The trek starts with gradual uphill hike on the ridge adjacent to Lohajung. 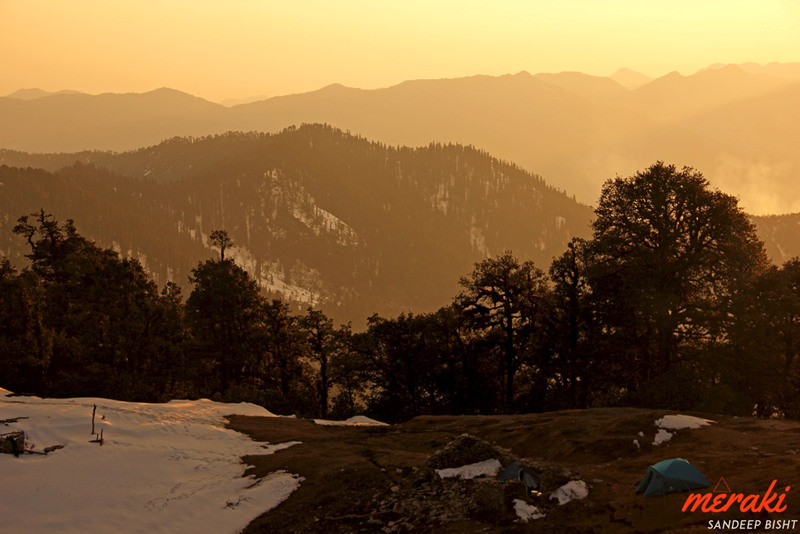 The trail opens up to a flat land with few temporary shelters, soon you’ll enter the forest rich in Oak, Fir & Conifer. 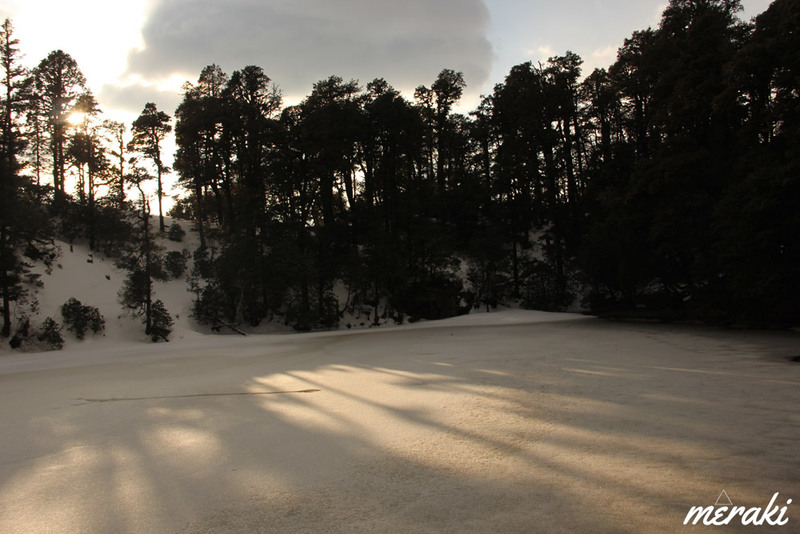 Further two hour hike through gentle trail will lead you to a small yet pretty lake, Khopriya Tal. 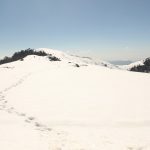 Bekhal Tal is hidden on the upper ridge of Khopriya Tal. 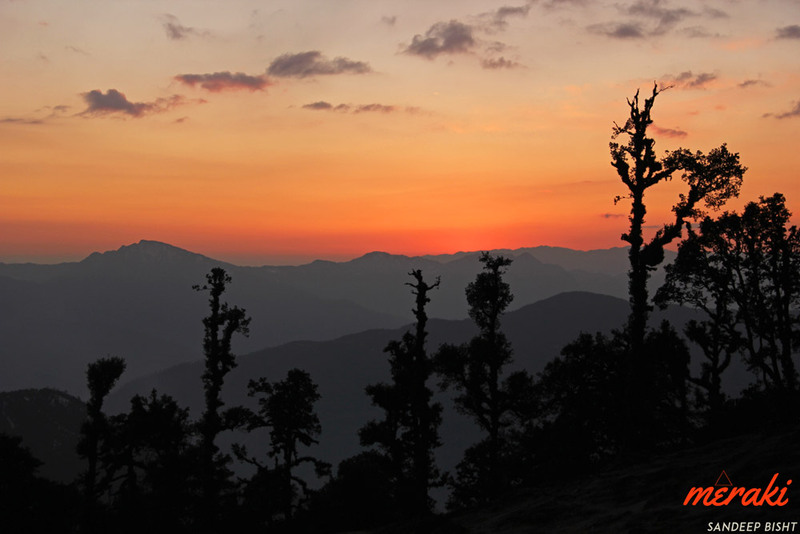 Pay a visit to the small temple there and head back to the campsite for amazing sunset views. Start trekking through a scenic cocktail of forest and meadows. 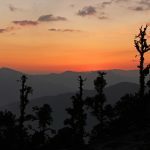 Panoramic views of majestic Himalayan peaks (Nanda Ghuti, Bethartoli Himal and Trishul) will open up on the right side during the trek to Brahmatal. Total trekking distance of 8kms for the day can be easily covered in 4hrs time. 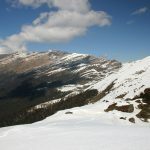 The trail goes along with the ridge and descends down to one of the most secluded lake in Garhwal Himalayas, Brahmatal. 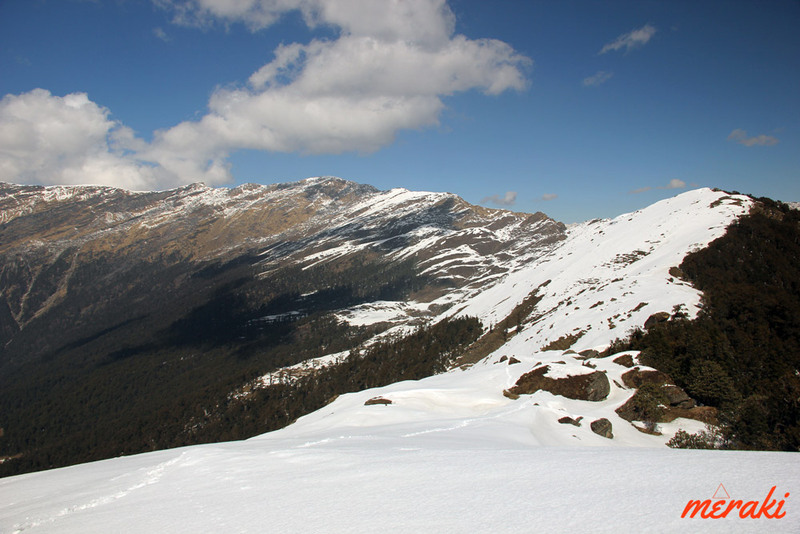 Brahma Tal is situated at an altitude of 3400mts above sea level. It is believed that Lord Brahma used to meditate here. 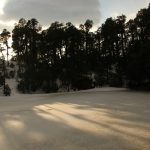 It is going to be a cold night as the lake is exposed to flat meadow and the view is also obstructed by Jatropani Peak. 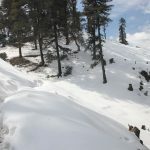 The trail to Jatropani Peak goes through the grassy ridge with few narrow intersections until the last stretch where you need to tackle boulders for the final summit push. 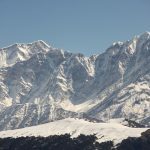 Jatropani Peak is also referred to as Khamila Top. 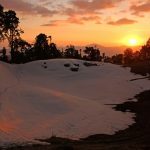 Jatropani East Peak is situated at an altitude of 4,000mts connected with the ridge on the south side that leads to the actual summit which is situated at 4,070mts above sea level. 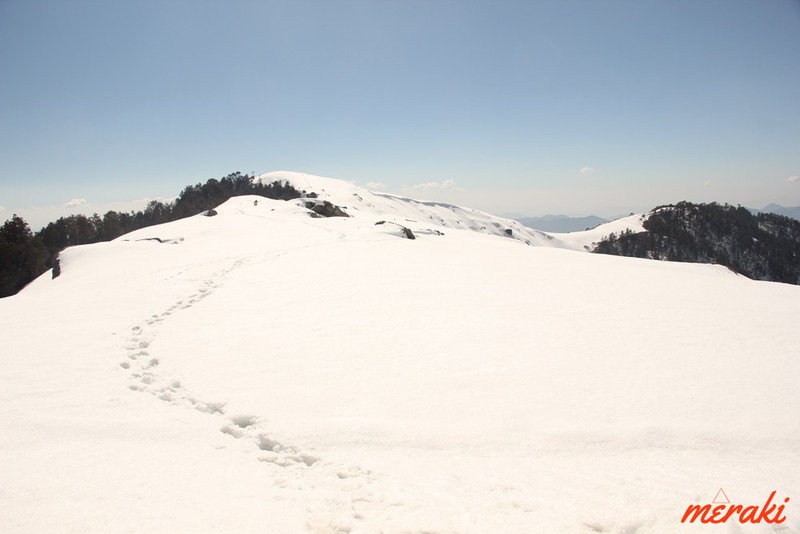 The actual summit is another hour away from Jatropani East Peak. Start off at ease in the morning and descend all the way down to Lohajung. 2G Network at Brahmatal is good enough for posting Instagram Stories that you’d love to share from the trek.